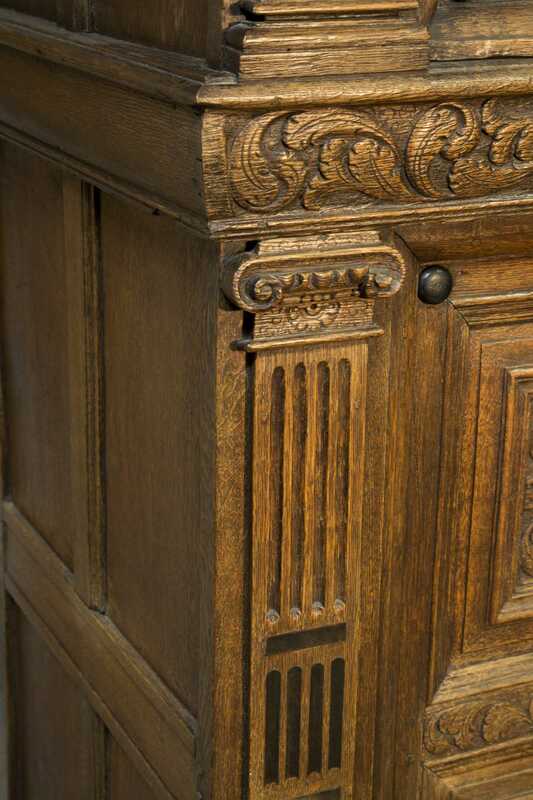 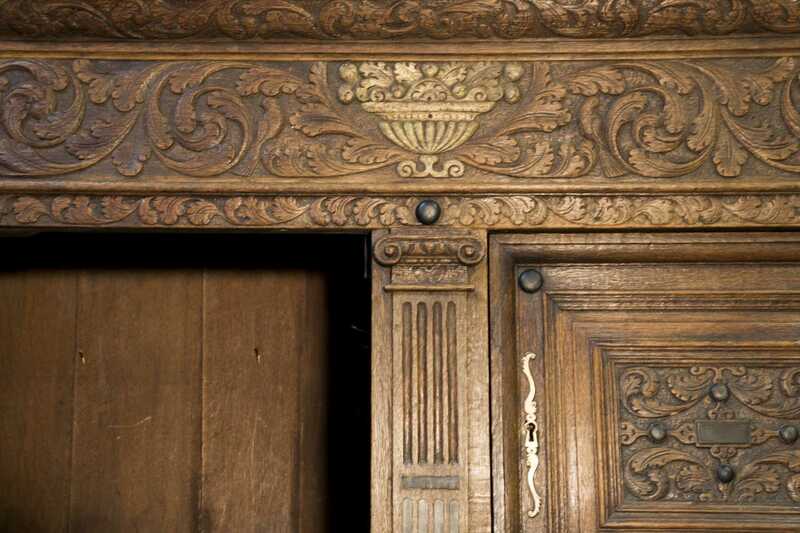 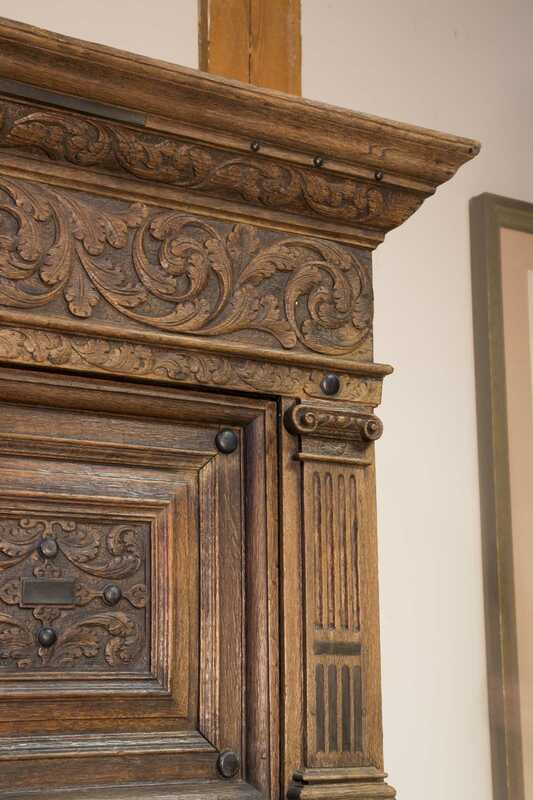 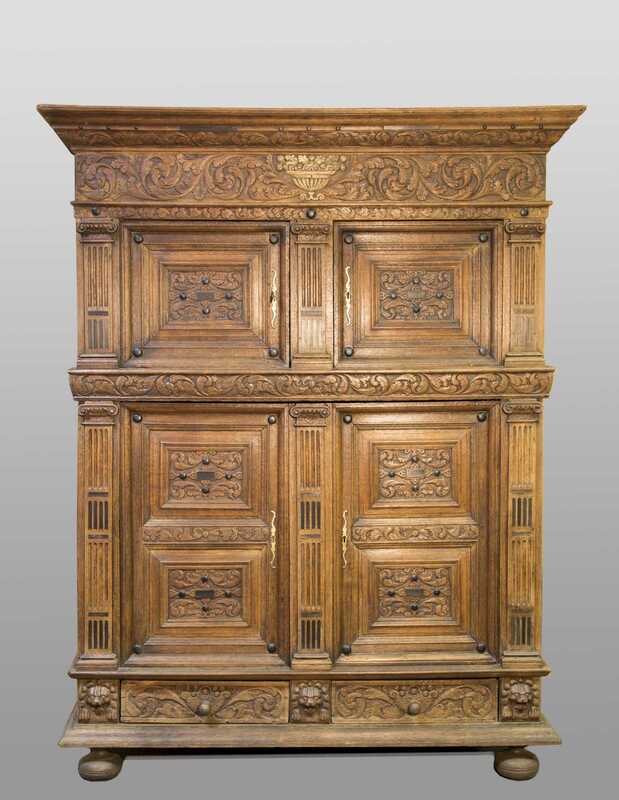 17thC German Two Part Oak Court Cupboard, The top section having a strong front carved crown molding over a compote of fruit carved front frieze over two recessed carved paneled doors flanked by fluted pilasters. 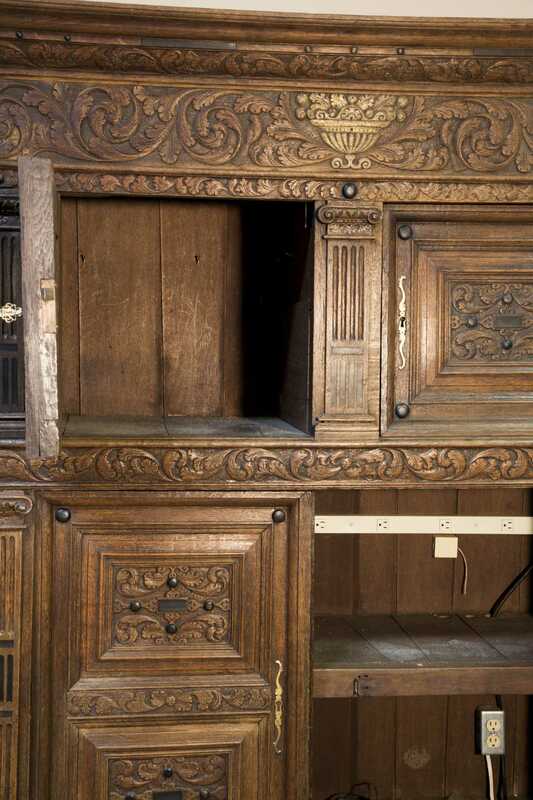 the bottom section mirrors the top with two double paneled doors over two side hung drawers all supported by ball feet in the front and stiles in the rear. 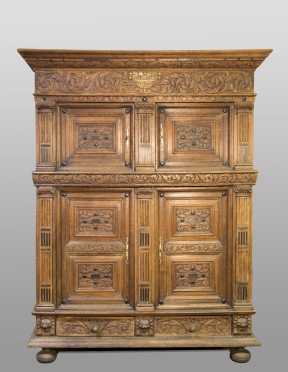 61" wide at crest x 29 1/2" deep x 81" tall.